Kinneret: My motivation are the numerous stories of how I have changed the way that people understand their religious roots and identity. One of my favorite stories is about one of our second grade students who was walking with his mother in the mall. They passed a little person and his mother turned to him to see if he had recognized the fact that the little person was a full-grown adult. She asked him if he noticed that although he was small, he was a mature adult. He answered that he did notice the man’s size. She asked him if he had any questions regarding the unusual individual they had passed. He turned to her and quoted the mishnah he had learned in class, “Do not look at the vessel, rather look at its contents.” His mother called me the following day to thank me for the meaningful values her son has integrated into his life through the Jewish education he was receiving from our school. Kinneret: One of our biggest struggles was to get the same funding that the Orthodox synagogues get automatically from the government for our own synagogue building. We spent eleven years pleading our case in the Israeli High Court of Justice. We finally won the case and became the first non-Orthodox synagogue to get funding from the State. We became a historical precedent. Beyond that particular struggle I am constantly faced with how the authenticity and legitimacy of the Reform Jewish community are challenged in the public. It is a challenge that has eased in Modi’in where we have made such a significant impact and are now recognized as an integral part of the city’s landscape. Our social justice programs and synagogue center are highly appreciated and acknowledged throughout the city. Kinneret: I have had many achievements in my rabbinic work. I was the first and only woman to work as a congregational rabbi in the history of the State of Israel. Today, there are over fifty women rabbis working in the State who consider me a role model. I was the first woman to lead a rabbinical council in the State of Israel when I became the head of the Israel Council of Progressive Rabbis. Since my tenure there have been two more women who led the council. 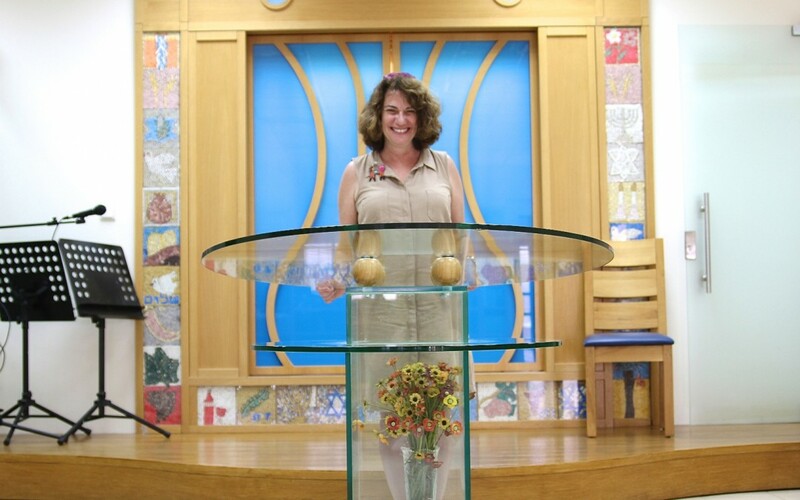 In the year 2000, I was awarded the Career Woman of the Year award for the City of Modi’in and in 2006 my community held a city-wide celebration of my 25 years in the rabbinate. In 2013, I was awarded the Rabbi Samuel and Irma Cohon Rescue Award for the work I had done in building Jewish identity. Beyond the awards and recognition, the life cycle events I have been privileged to lead have been transformative. An example of the more touching ones is when I officiated at the wedding of a young man who had been one of my bar mitzvah students, and when I officiated at the bat mitzvah ceremony of the daughter of one of my students who was in the youth group. I was an influential element in the life of a fourteen-year-old girl, who, years later, got married and had children of her own and then tracked me down to raise her family in the Yozma community and celebrate her daughter’s becoming a bat mitzvah with her rabbi! Kinneret: My ultimate goal is that Yozma will continue to nurture and influence generations of young people to take ownership of their Jewish identity and pass on the values and customs of Judaism to the next generations. It is my dream that we will continue to grow and build a middle school and high school that will enrich the lives of the students and their families so they understand the evolution of Judaism and make it meaningful in their lives. I hope we remain a vibrant community and help those in need long after I have retired from the congregational rabbinate. I pray that we continue to be a model for other liberal Jewish communities throughout Israel.